The Eddie Bauer Double Up is as troller that is small enough to manouver easily, yet large enough to carry an older sibling in the back. The Eddie Bauer Double Up is a stroller that is small enough to maneuver easily, yet large enough to carry an older sibling in the back! 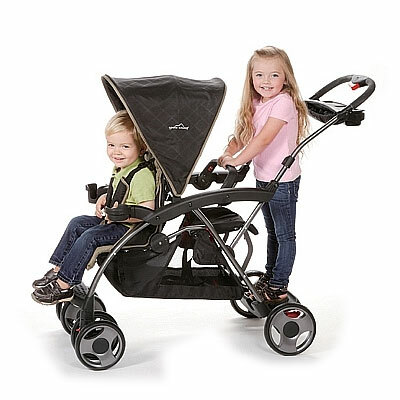 The Eddie Bauer Double Up stroller lets you stroll with a child in the front of the stroller, and another in the back. 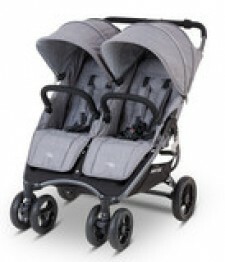 The Eddie Bauer Double Up allows you to create the ideal travel system. 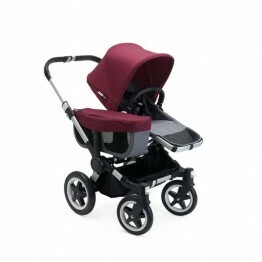 The stroller accepts the Britax Chaperone, Peg Perego Primo Viaggio SIP, Graco SnugRide, SnugRide 32, and SnugRide 35, Chicco KeyFit, Evenflo Serenade, infant car seats accepted in rear position only with strap.